1. Avoid the peak holiday periods. Lodging prices around Christmas, New Year’s and President’s Day are often double what they would be for the rest of the season. Air fare differences are even more dramatic. 2. Book early, especially if you fly. Most winter fares to Denver or Salt Lake City are historically at their low point until the end of October, at which time they will gradually start increasing. Shop travel sites (Expedia, Orbitz, etc.) as well as the direct airline web sites. They each allocate a specific inventory of discount airfare seats, and once that inventory runs out, the same flight might be cheaper on a travel site than on an airline site, or the opposite. This being said, don’t panic and book something just because “2 tickets left at that price” is on your screen; it’s often no more than a marketing gimmick. 3. 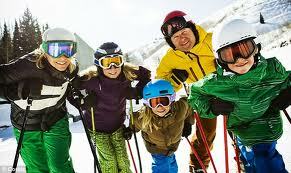 Save on lift tickets by booking online. 4. Be sure to factor in all transportation costs, including airline baggage fees. When booking your flight, make sure that you consider the airline baggage fees that will be associated with your ticket. You might find a cheaper airfare on a particular airline, but once you add in the various fees, it may not be the cheapest option. If you are bringing your skis from home, be aware of the oversize/overweight fee policies. 5. Consider equipment rentals. Rather than bringing your skis/board from home, consider renting high quality equipment from a local shop at your resort destination. It is important that customers make their rental reservation ahead of time rather than renting upon arrival. Often you will save money by renting ahead of time. 6. Call lodging properties directly. Many offer a direct booking discount, and generally know the property better than the central reservation systems. By talking to someone at the lodge directly, it is more likely that a “deal” will come out of the conversation. This person will also do a better job of matching you with the right kind of unit for your personal needs. For example, if you are not an early bird, you can get a unit in a quieter part of the building. Also, don’t overlook older properties. They may not have elevators, hardwood floors, Jacuzzis and granite counter tops, but they can be very comfortable, very close to the lifts, and much more affordable! 7. When dining out, call the restaurant and ask if they have a “bar menu”. The portions are hardly smaller, yet much cheaper. It’s a very popular option amongst locals, and the seating area usually offers a great ambiance.